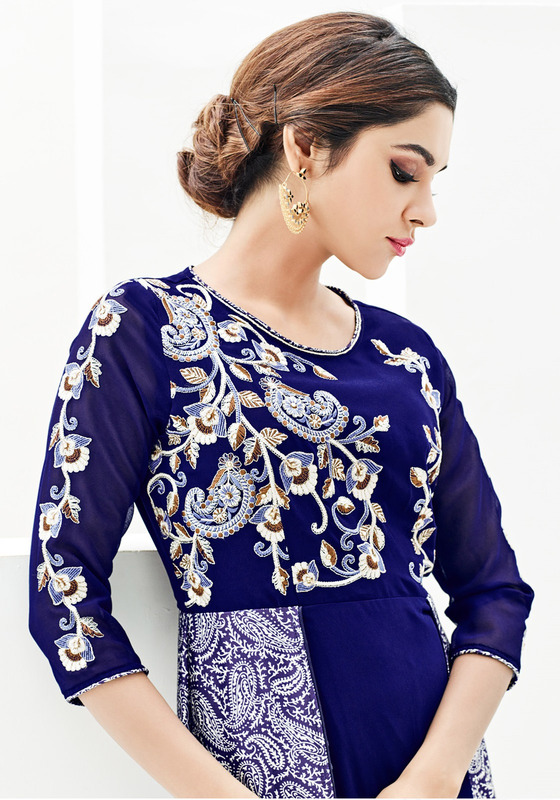 This dark blue kurti designed in western style is sure to grab everyone's attention. 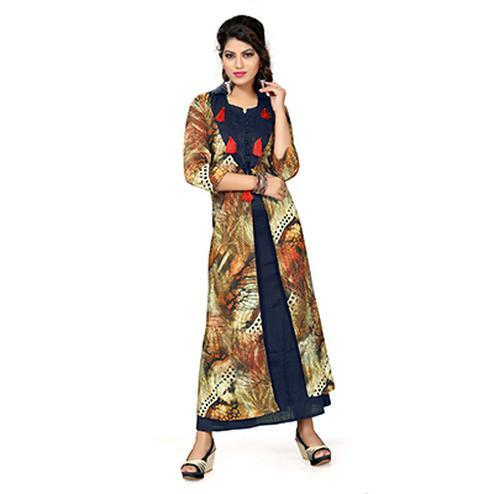 This stitched kurti features georgette fabric bodice detailed with floral embroidery and japan satin asymmetrical flare detailed with paisley design digital prints. 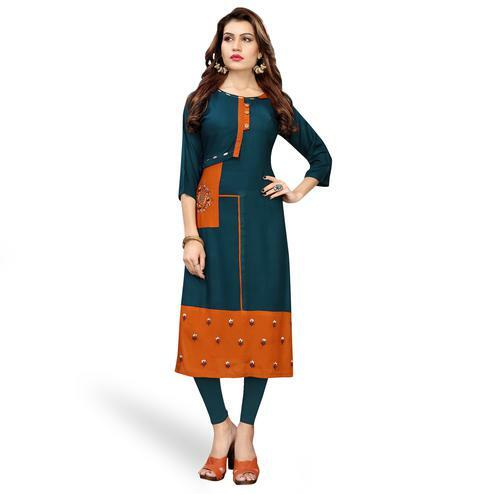 You can wear this kurti for parties events and weekend get together.